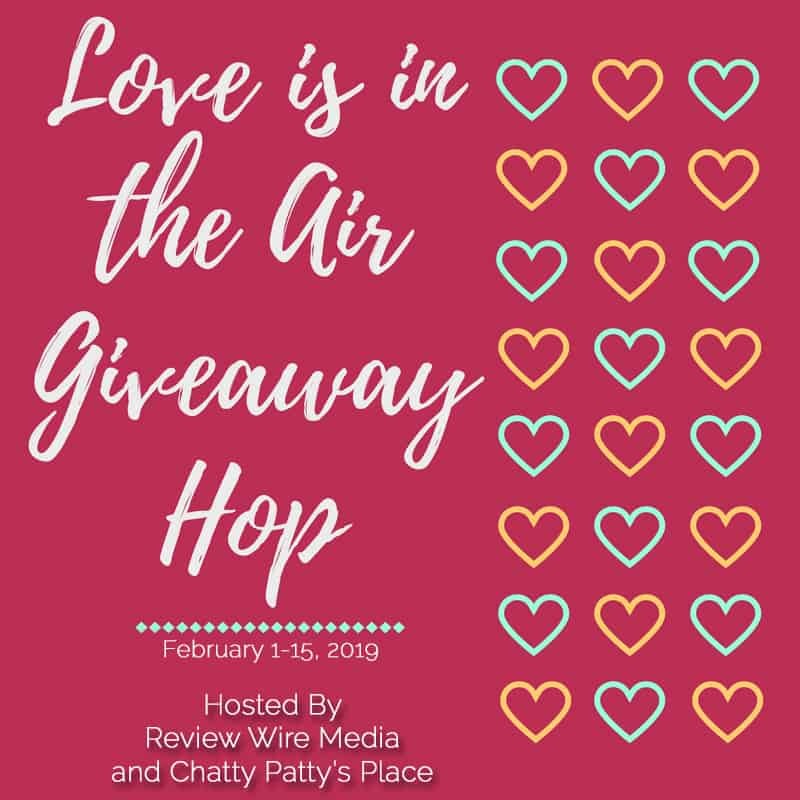 These fun giveaways end 2/15/19 at 1159p est! Be sure to visit them daily for more chances to win! This Blog Hop is for fun prizes and Gift Cards for the family, kids, and our 4-legged friends! Your pup will love sporting this fun Crazy Hearts Dog Collar! It is made of 100% smooth & durable polyester and is made for comfort and action. This collar is great for outdoor dogs, water dogs, field dogs, and service dogs. Best of all, it is machine washable and weather resistant. Crazy Hearts Dog Collar OR $15 Amazon GC! 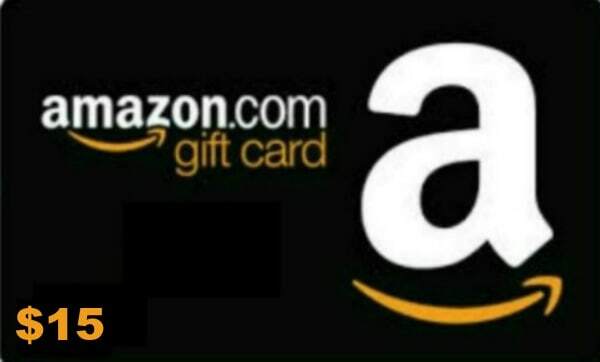 Giveaway ends 2/15/19 at 11:59 pm ET! Open to US residents 18+ and older. My goal is to keep myself in good health. The collar is great but I have 2 boys dogs- so I’d prefer the gift card. Great giveaway! I’d like to lose 20 lbs. I am running a marathon in October this year! My goal is to improve my yoga practice! My plans are to travel more this year. I plan to lose 20lbs. No special plans for the New Year! No special plans or goals. No, I don’t have any plans for Valentine’s Day yet. We do not have any plans. I don’t have anything special planned. Just a quiet night with my wife. I don’t have any special plans this year. Grilling dinner & enjoying a bottle of chianti. Cheesecake factory with my husband!! We don’t have any special plans for Valentine’s day. We will exchange gifts, and I’ll probably make a red themed dinner for my husband and daughter. We don’t have any special plans…maybe a nice dinner. As of right now, we don’t have any plans. We might go out for dinner or something. I have no special plans for Valentine’s Day. I do not have any special plans for Valentine’s Day…never do. I usually surprise my hubby and kids with a few gifts and cook them a fun meal for Valentine’s Day. It’s pretty much a normal Thursday for me, but I’m going to go see a guest speaker and get dinner with some friends after that. Just another ordinary day for me. I have no Valentines Day plans. No as I will be working. Not really . We have an appointment on valentine’s day but I’m sure we can squeeze in something nice. No special plans this year but I will make Red Velvet cupcakes for my husband. It’s become a tradition he expects. It’s my granddaughter’s 1st birthday so we’ll be celebrating with family. No I don’t have any special plans for Valentine’s Day. We haven’t made any plans yet, but I am sure we will do a little something over the weekend. We probably won’t be able to do much on the actual day. No, I don’t have special plans. The dog collar is cute. I don’t have a dog, though so if I win, I would like the gift card. I am planning on a dinner/date night. I have no plans just yet. I do not have any special plans for Valentine’s Day this year. Thanks for the giveaway! We don’t have any special plans for Valentine’s Day. We will probably just go out for a nice dinner. Yes, it is going to be my 10th anniversary. I don’t really care for Valentine’s Day. I don’t have any plans for Valentines day, yet..
Just spending the day at home with loved ones! My wife and I are going to a murder, mystery dinner at a local orchard. I will be babysitting our grandchildren so that our 3 kids and spouses can go and enjoy an evening out – Grandpa will help me with the 6 grandkids! We don’t have any special plans for Valentine’s day, maybe just make a special dinner but nothing else. We are going to get take out food and watch a movie. I have absolutely no plans that day. I will probably go to yoga. We do not have any specific plans as of yet. We will probably just lounge around and enjoy the day. I hope to go out for a romantic dinner. My husband and I are going to a movie on Valentine’s Day. We usually just stay home on Valentines Day. none what so ever DARN IT! no plans for Valentine’s Day, on thursday, but we will go out Saturday for a date night. We plan dinner and a walk in a nature preserve, since the temperature will be warmer. Just spending time together and enjoying the life. That’s all that can really be asked and what I want the most. No, we don’t have any plans for valentines day. I always send the grand kids a valentine because they enjoy receiving mail. I’m planning on a night in – a good book, my comfiest pajamas, and a bottle of wine. Heaven on earth! I don’t really have any special plans for Valentine’s Day yet. We have no special plans this year. I will more than likely be working. No special plans, so far. We are making our favorite Italian dinner at home and watching a good movie with each other and our fur babies. A perfect night! I have special plans to go to dinner with my hubby for Valentine’s Day! We are going out to dinner at our favorite restaurant. No we don’t have any special plans. We’re planning to take the kids out for ice cream! We don’t really make big plans for Valentine’s Day. I do make a special dinner and something heart shaped for dessert though. No special plans for Valentine’s Day. Just hope that I won’t have to cook that night! My hubby usually cooks me dinner and we will rent movies and share a tub of ice cream. This year we will be starting to move into our new home so we probably will be very tired and eating pizza! No, unfortunately I do not have any special plans for Valentine’s Day. No, just a quiet evening with my family! No, we don’t usually do much for Valentines day. No plans for Valentine’s Day. Don’t celebrate it. No, I will just be hanging out with my family. Nothing too crazy – just dinner, drinks and a bubble bath. Love the heart dog collar. I’m going to spend Valentine’s Day with my son. We are going to bake cookies and play board games! The only plans I have is a date with the dental hygienist. I don’t have any particular special plans for valentines day. I don’t have big plans for Valentine’s Day. The after Valentine’s Day sales are awesome, so I will be hitting the streets in search of good deals. Thanks for the giveaway. Spending Valentine’s Day at home. No plans. I don’t have any Valentine’s Day plans and will most likely spend the day at home with my dogs. Heading to Atlanta to see my niece play softball for Boston College! Planning on going out to dinner. Driving the kids to their school dance. Not really. We don’t really do anything for Valentine’s Day. No, I don’t have any Valentine’s Day plans. Thank you for the chance to win! We’ll be going out to dinner. No plans at all this year. Going to go for a small dinner and some drinks, any excuse to eat good food! I will be traveling for work. No, no special plans for Valentine’s day other than baking some sweet treats! I’m hoping my husband takes me someplace nice – I love seafood. no plans this year. Everyone has to work so a date with my 10 month old grandson which is the best Valentines anyway. No, I don’t have any special plans for Valentine’s Day. Midweek is not a great time for a date night. We will probably do something on the weekend. I send cards out to loved ones. As for the day itself, it is a happy day and I will treat myself in some way…not expecting anything from anyone as when I was younger. Will have dinner take out with our kids they love it. I don’t have any special plans for Valentine’s Day at this time. No special plans at all. One grandson has his first birthday on Valentines, but since we had his party on Saturday, and he is only 1 year old, the day itself will be quiet. I plan to fix a nice dinner for my husband. my plans for valentines day are stay inside and watch tv with family. My husband and I are going out to dinner on Valentine’s Day. We are going to have a special lobster dinner on Valentine’s Day. Lobster is a treat for us! We usually just stay home together and cook at home or plan something but this year we have reservations at a restaurant in Atlanta so that’s definitely exciting! No special plans for Valentine’s Day. I don’t have any special plans right now. We exchange candy and cards. No special plans on Valentine’s Day. No, I don’t have any special plans for Valentine’s Day. We have plans to watch basketball on Valentines day. Tournament season is Feb. I have to work in the evening, but I will get my kids little gifts. We’ll probably order in and rent a movie for Valentine’s Day. Not really. I will probably make dinner for my husband and binge watch. I plan to spend it eating chocolates with my friends. No special plans for me. Just plan to have a nice dinner at home with my family. No plans, normal day for me. No plans, just a cozy night at home with my family. I didn’t have special plans for Valentine’s Day. However, I did eat too much chocolate and watch too much TV. Hanging out at home, order pizza and watch ‘Valentine’s Day’. We had our son’s basketball tournament today so we will be celebrating on Saturday but still don’t know what we will do. I don’t have anything special planned for Valentines Day. Valentine’s Day was yesterday. We didn’t do anything special. I worked all day. I don’t do much for Valentine’s day other than make a few special treats for the kids. We didn’t have any special plans for Valentine’s. My dog and I will be celebrating ourselves. No I didn’t have any plans for Valentine’s Day – it was my normal night to bowl so it was Galentine’s Day! No just sit home with my family. No plans for Valentine’s Day. We just have a small cookout with some family and friends. My husband and I went to a show for Valentine’s Day. We had a nice dinner out for Valentine’s Day. We stayed in, got Chinese food, and watched movies. Loved it. No plans this time around. It was a regular day for me as I’m single! I had an exam 8-9:30 pm. Woo! I had no plans for Valentine’s Day. Cooking a nice dinner for my Valentine! we went to go pick out some chocolates and goodies and did some shopping and came home. I have school parties to help with and dinner with family. I went out to a fine restaurant on my Valentine’s Day evening. My only special plan for Valentine’s Day was to leave a treat out in the office conference room for the entire staff. No plans, just stayed home.